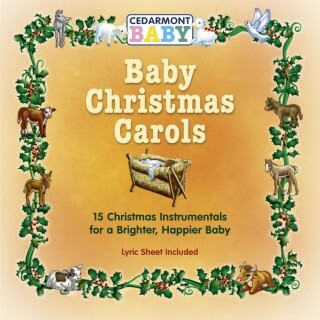 15 Classic Christmas carols for Baby! Recent research indicates that early exposure to instrumental music can help your baby be brighter & happier. With this series, you can stimulate your child’s mind & spirit by introducing them to Christian melodies they'll treasure forever. Features 15 lightly orchestrated instrumentals. Music with a message they won't outgrow! NOTE: You may purchase actual CDs or the complete CD as downloads. Mp3 files are compressed at 256 Kbps for optimal sound quality and convenience. Downloads of the full CD include printable .pdf files of lyrics.